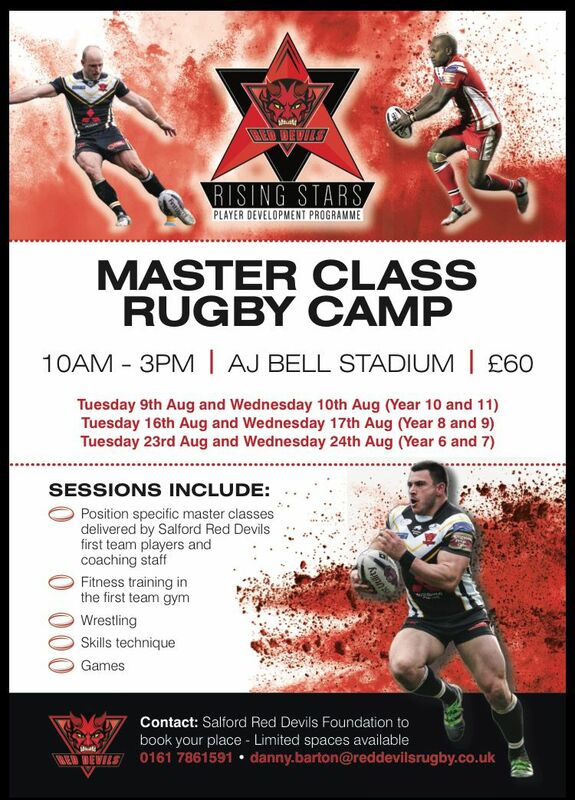 The Salford Red Devils Foundation are delighted to announce the line-up for our player master classes at our upcoming summer camps. Boys from the ages of 11-16 will have the opportunity to receive position specific coaching from the Red Devils Super League stars, and learn the tricks of the trade from professional players. The camps are split across two days at the AJ Bell Stadium, and begin on Tuesday 9th August with the year 10&11 camp. After dinner, the group will split into forwards and backs for a field training session. The Backs will be overseen by half-backs and fans favourite Rob Lui, and Dummy Half Logan Tomkins. The participants will be taken through the essentials of good Backs play through a series of drills taken straight from first team training. The Forwards will be taken into a session with George Griffin and Olli Krasniqi who will take them through a Forwards skills session and give them pointers on how to be an effective forward in the modern game. The Forwards will be able to benefit from the vast experience of Weller Hauraki who has played in both Super League and the NRL. 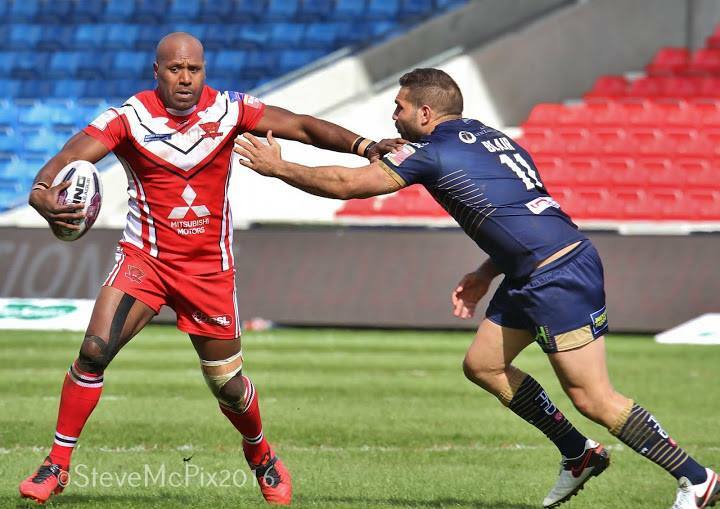 Weller will be joined by Ryan Lannon who has burst onto the Super League scene this season with some eye-catching performances for the Red Devils. The Backs will be taken into a session with Winger Justin Carney and Full Back Gareth O’Brien, who will go through the basics of good attacking play. The camps can booked through e-mailing danny.barton@reddevilsrugby.co.uk and are priced at £60.